3.1 out of 5 based on 25 bloggers and 0 commenters. This template looks better if you set the posts per page in a multiple of 5. Eg. 10 posts per page. 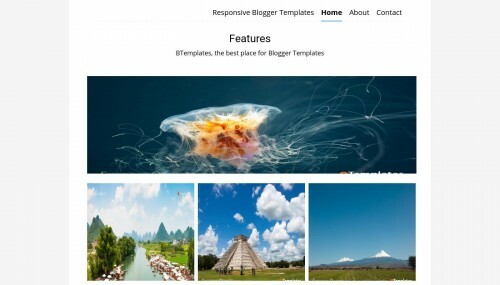 Features is a free blogger template with 1 column, responsive design, seo friendly, gallery-styled, minimalist, an exclusive design for Blogger, footer columns, posts thumbnails, pagination, well designed threaded comments, 404 error page customized and simple look. Excellent template for blogs about a personal portfolio site.